I have a bit of a thing about boxes. I own a number of pretty or characterful boxes, some are modern and some are antique. There’s the art deco pewter jewellery box that I bought on eBay with it’s beautiful enamel stone and the old wooden till box that I bought in a real live auction in Barmouth in North Wales. Some boxes have been gifts, but many I’ve picked out myself. So imagine my enjoyment at picking out a box from Personalised Cart. They have a great range of personalised gifts, but as often happens I was drawn to the boxes. In the end I decided on a Watch Storage Box which I opted to have personalised with my initials. There was a selection of 10 fonts available and I chose the ‘Dancing Script’. It’s worth spending some time looking through the fonts, especially if you have an initial like E which can often appear very differently in different scripts. 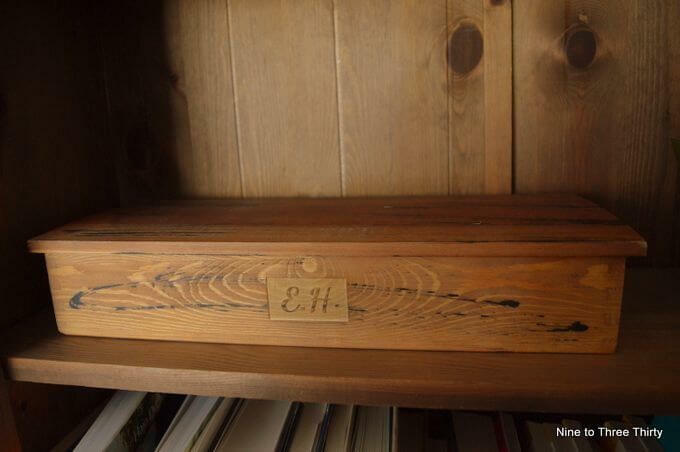 I like the way my initials have been engraved and it makes the box extra special to me. Inside there are eight watch sized compartments. I have three nice watches currently, so I am using the other slots to house my bracelets currently, but they’d also be good for other jewellery. The middle slot is a handy size and could be used to store a pair or glasses or maybe a statement necklace. The little black cushions are a good size and shape for holding watches, so they will keep them safe and well protected. As well as providing safe storage, I think the cushions set off gold and silver coloured items very nicely and the effect is pleasing to the eye. I think I’ll have to increase my collection of watches now that they will be so well housed. I love the look of this box, must feel great to have your initials engraved. I need one of these for my watches, I am forever misplacing them! Mellissa Williams recently posted..A Stress Free Move – Is that Possible? I, too, have a thing about boxes, especially if they are made well. This box looks fabulous and has given me an idea for a birthday later in the year. Thank you! 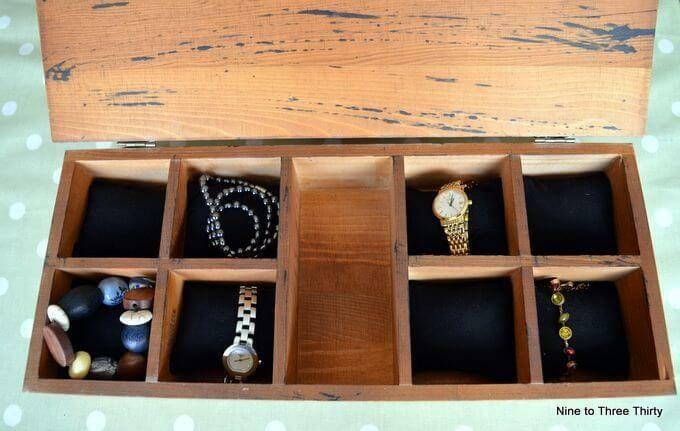 This is such a lovely way to store watches or favourite jewellery pieces. Woow so Lovely lovely post. Box is really attractive and thanks for sharing it with us.